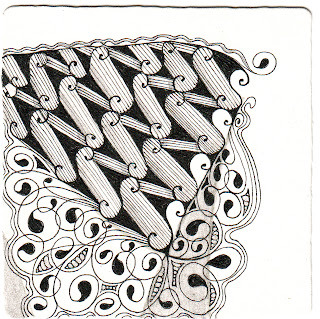 How quick the week has come around, here we are with The Diva's Challenge #71 and with delight it is Zentangle's new tangle pea-nuckle. It took me a few attempts at getting into the swing of pea-nuckle, it has a nice twist and turn with an element of surprise. Thank you Molly for your pea-nuckle treat. Love how you have used the "S" clearly in the tile. Lovely! The curled S is genius. Your line work is so gorgeous! Love your variation on Pea-nuckle. 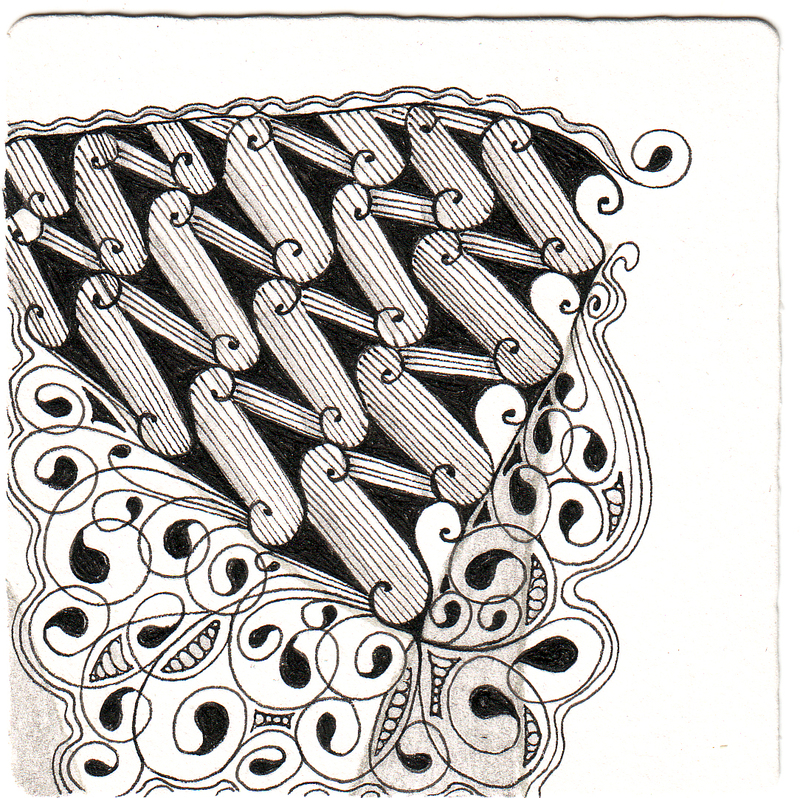 I used it with your tangle, Blooming Butter, another pattern that's new to me, on one of my tiles. I've got a long way to go on both patterns, but I enjoyed doing that tile! Thanks! I like your s in Pea-Nuckle and the tangle in the bottom reminds me of butterfly wings. Simply beautiful. Your pea-buckle s strokes have a look of being attached with a wire. 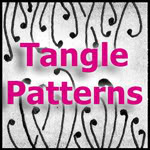 Your line work looks perfect and your choice of patterns look great. I agree with the others. Seeing the S curves really adds to the look of pea-knuckle. Very nice! I too love the way you curled your s, its beautiful. Nice work. Wow! How did you do that? I keep looking at it to try to figure out how you got the tops and bottoms of your s's so designy when I thought they would be all covered up by lines. Or did you add last with a thicker pen? Really pretty design along the bottom, too. Lovely, I really enjoy the way you accented the "S" flourish. I spent so much time trying to avoid that accent. It adds so much! Very pretty. I like the bit under the pea'nuckle a lot too! I agree with several of the comments already posted, the way you accented the "S", which most of us tried to hide, lol. 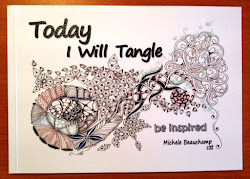 The difference in the width of the lines in different parts of the tangle, the overall composition....quite lovely. You make it look easy, which is not how I found it. The curled S's really pop out...very pretty tile! I think you really did Pea-nuckle justice -- cool tile!